The idea of a locally built small wind turbine came from Hugh Piggott when he decided to build his own wind turbine on the Scoraig island in Scotland, a very windy region, in the 1980’s. After different projects for his neighbors, he defined the design for producing small wind turbines at low costs without any complex tools and making them suitable to be built with different local materials. Nowadays, a lot of engineers from many different countries have adapted Piggott’s models by making the turbines well fitted for their respective rural areas and creating their own organisation. In November 2014, the 2nd Wind Empowerment Global Conference will gather all these different organisations, providing an opportunity to diffuse and share the global knowledge about small wind turbines and facilitate the electrification of poor rural areas in the world. “Saving by learning and learning by doing.” could represent the locally built wind turbine philosophy. Transfer the technology through different training workshops to farmers, villagers, etc., allows the organisation to delegate the operation and maintenance of the turbine and, by the way, reduce their costs. If you can teach some people living in the village the basics of the technology and the safety rules, you would not be obliged to hire a technician in case of problems which would imply added transportation costs and wages. Furthermore, the workshop is productive as the entire turbine is built and installed when people are learning the building process. Finally, each organisation can use workshops as a way of doing research, testing others systems in order to improve the entire technology. Basically, a wind turbine is converting kinetic energy from the wind into electrical energy, which could be used for battery charging, water pumping, etc.. The blades of the turbine receive a part of the wind airflow and move magnet rotors, which convert the kinetic energy into a rotating magnetic field around another part called the stator transforming the magnetic energy into electricity. The small wind turbines power capacity starts from less than 1 kWh to more than 10 kWh, generally varying with the stator’s diameter and blades’ size. This initial technology is not only open source, it allows a flexibility for the local manufacturers to adapt the turbine’s design to the local constraints. In this sense, there are many possibilities according to the environment resources (wind speed, humidity, mountains or plains, availability of skills, electricity demand, etc.) to create the custom-fitted small wind turbine and improve its technical efficiency. According to the International Energy Agency (IEA), approximately 1.2 billion people still have no access to electricity including 300 millions people in India. Most of whom are living in very poor rural areas, often very isolated and out of the grid. If we consider the following graphic, the concave trend shows that the first kWh available has an important impact on the Human Development Index (HDI), which means that the electrification stage plays an important role in the development. By the way, small wind turbines as well as solar panels have to seize this important demand in order to improve local living conditions providing green electricity. However, it is important to consider the embodied energy, also called grey energy that represents the sum of all the energy used during the lifecycle (production, extraction, processing, manufacturing, transportation, implementation, use, maintenance and recycling) of a product. In this regard, small wind turbines should be far more competitive compared to solar panels as many pieces are built on the site with local materials mainly using human energy. One of the research axes in the future could be to find a way for easily determining the embodied energy in small wind turbines. 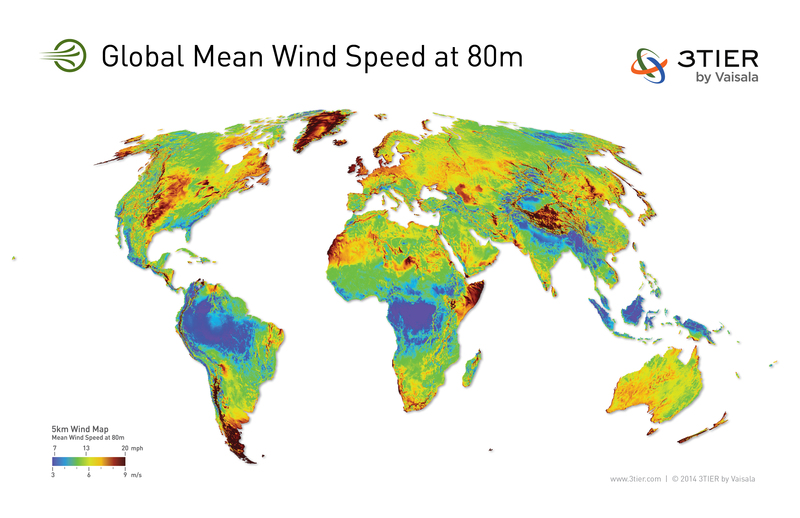 In the south of Tamil Nadu (Kanyakumari areas), the places are very windy according to multiple data sources (i.e. 3TIER previous wind map) and appear to be very suitable for developing and testing new generation wind water pumping technology. Moreover, there is more than 26 millions diesel water pumps in India which should be replaced using solar or wind energy. The Indian government has recently planed to invest 1.6 billions dollars (100 billions Indian rupees) in the next 5 years in order to replace 200,000 diesel water pumps (less than 1% of the market). In exchange, farmers would have to use drip irrigation system in order to save water resources. This investment of 1.6 billions dollars shows how important is the market to replace 3hp and 5hp diesel water pumps. Following this objective, MinVayu is working on developing new technologies for more efficient wind turbines, especially to make the wind turbine systems lighter, easier to transport, install and maintain by testing some materials like bamboo. In cooperation with ORSED, their objective is to replace thousands of old diesel water pumps in the next years. By replacing this old system, this project would have a positive impact on the environment as well as on the trades balances and government budget of India, which is importing petrol and giving subsidies to sustain farmers’ diesel demand for water pumping. To conclude, hundreds of small wind turbine installations would allow to create an important network reducing the maintenance costs and the non-repayment risk, especially if we are able to create a system with different incentives like battery charging in home and internet connection. The development of a such system would be the key to obtain fundings for developing a sustainable rural electrification as well as installing smart irrigation system and providing an access to the global network.